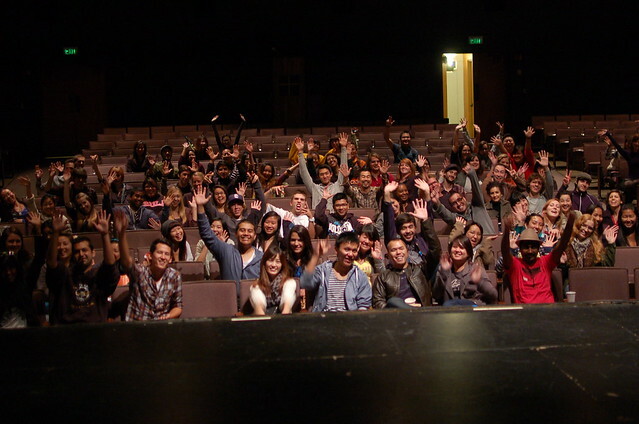 Thank you Cal State Long Beach! 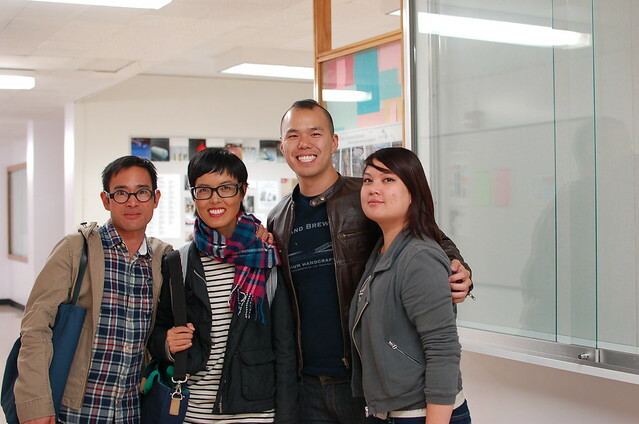 Last week, we gave a talk and spent a few hours with graphic design students at California State University Long Beach. 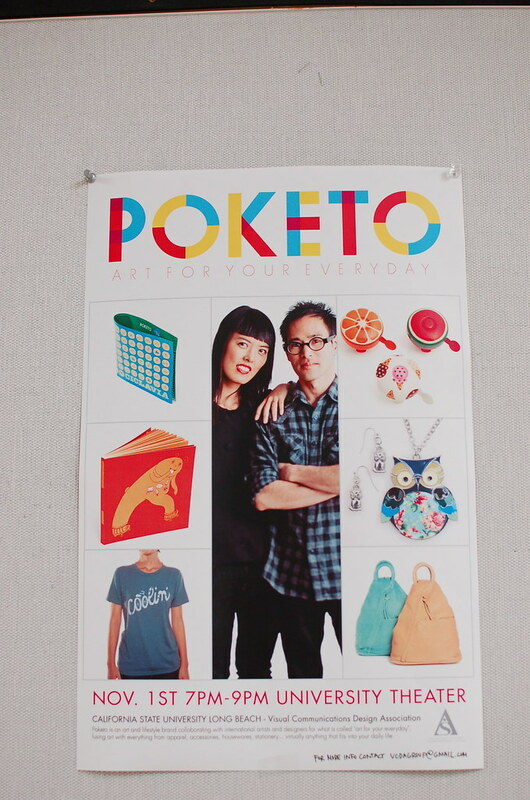 Designer Nellie Le, is not only a long time Poketo fan, but, also the president of the Visual Communication Design Association on campus. She’s on her final semester, after many long, arduous, and productive years in school. 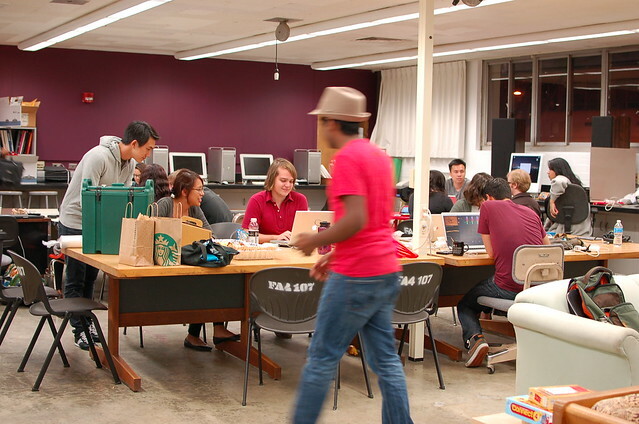 CSULB’s graphic design program is known for being a very competitive, highly reputable program, sometimes taking students 6-7 years to complete. 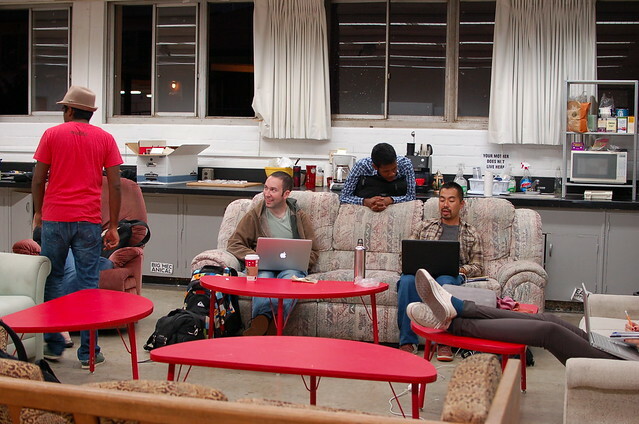 It was an honor to share our story with the students and glimpse their campus and studio life. 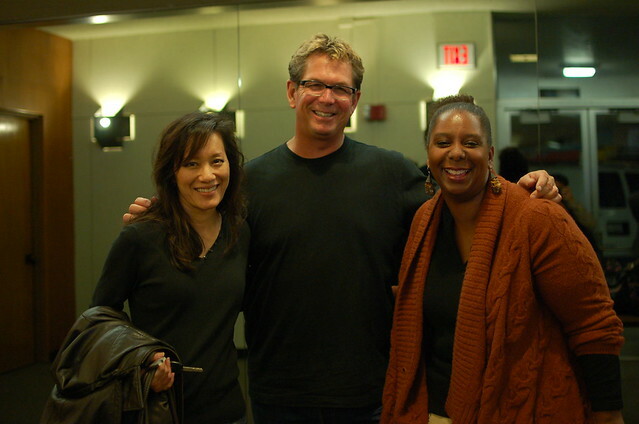 Me, Angie, Kevin (Gallery Nucleus), and Nellie Le.